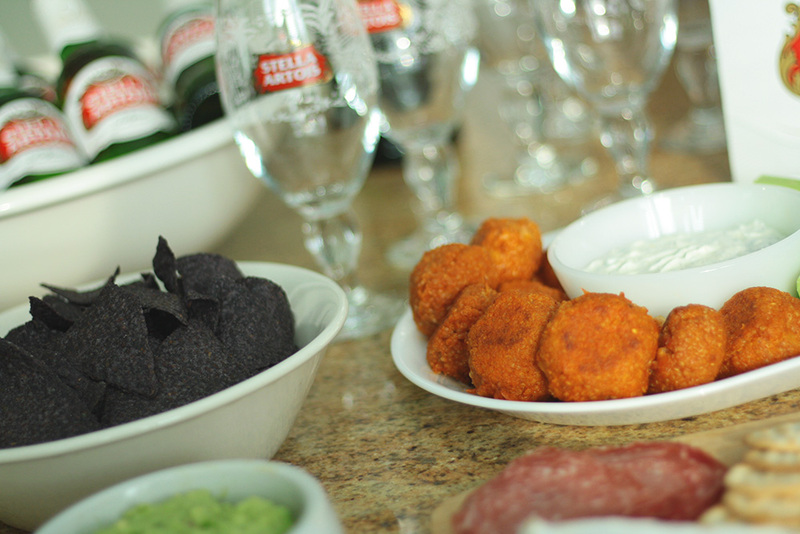 Make Your Super Bowl Party Matter | ya, we're basic. Well tomorrow is THE BIG GAME! Even though I have no emotional investment in either team I do love any excuse to host a good party. And I love it even more when I can use said party to bring awareness to an incredible cause that provides a massive impact across the whole world. 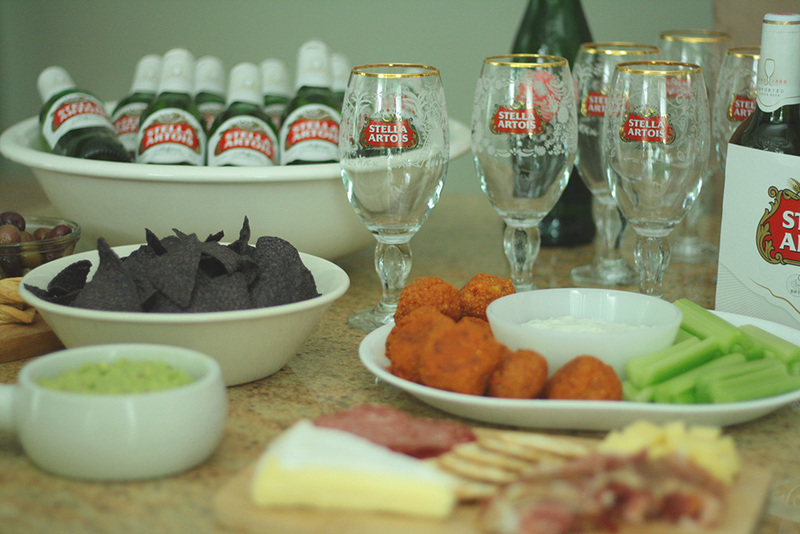 So I’ve teamed up once again with Stella Artois and Water.org to show you how to throw a Super Bowl party that matters. How can you make your party count? Well let me tell you! There are two simple ways to get involved or donate —through the purchase of a limited-edition chalice (this year’s chalices feature designs by Silvana Avila from Mexico, Janine Shroff from India and Monica Ramos from the Philippines) or the purchase of a 12-pack of Stella. 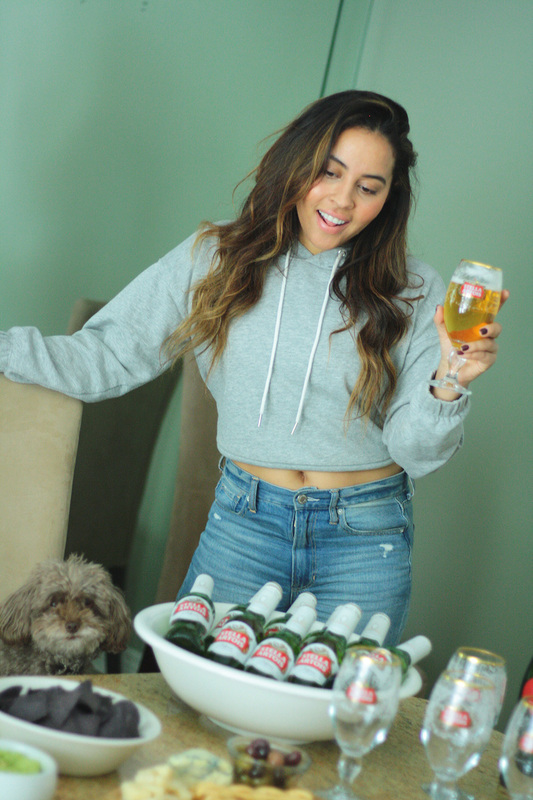 Stella Artois and Water.org are making it easier than ever for you to help and I want to help inspire your party tomorrow too! I’ve created a couple easy recipes and am sharing tips for how to make a beauty charcuterie board in a flash. 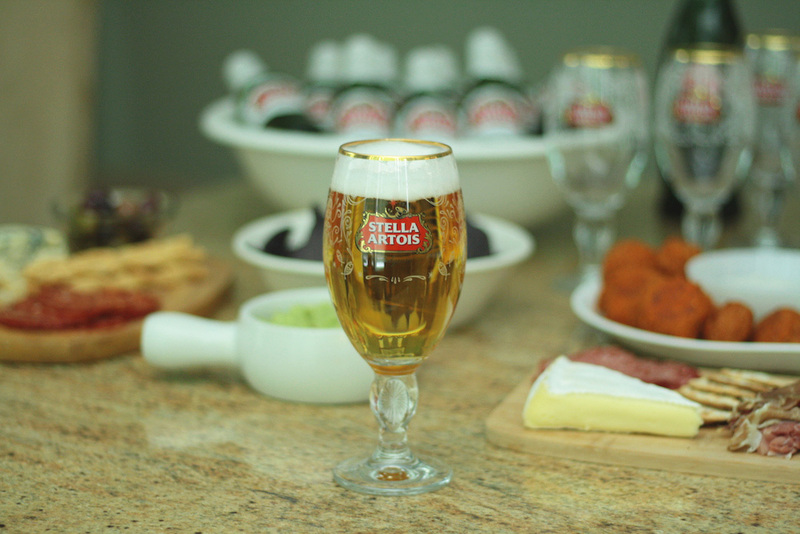 All of these dishes pair perfectly with Stella Artois and if these don’t put you in a Super mood, then knowing that you’re making a difference while cheering on your favourite teams absolutely will. Combine quinoa, eggs, tomato paste, salt, garlic powder, paprika, and black pepper into a bowl. Add breadcrumbs and stir in well. Let mixture sit for a couple of minutes so that the breadcrumbs can absorb the moisture. Scoop 1 heaping tablespoon of quinoa mixture and with dampened hands make quinoa balls – placing one cube or a small cluster of shreds of mozzarella into the middle of the ball and forming a smooth ball around the mozzarella. Repeat to form about all quinoa bites. Place quinoa bites onto the lined baking sheet and bake for 15 minutes. Combine the hot sauce and butter in a small saucepan on medium heat (or place in a microwave safe bowl for 2 minutes on high). After 15 minutes, remove baking sheet from the oven, gently turn quinoa bites (they should have browned a little) and cover with buffalo sauce. Put back in the oven and bake for another 8 minutes. Serve hot (with celery sticks and the blue cheese dip if you want to be authentic). In a small bowl, combine Greek yogurt, blue cheese, garlic powder, dill, parsley, salt and pepper, to taste. Set aside in the refrigerator until ready to serve. Half and remove the seed from your avocados. In a large bowl, add the avocados cubed and mash with a fork to your level of chunkiness. Add the diced tomatoes and jalapeño and mix. Squeeze the juice from the lime and stir. Add seasoning and salt & pepper to taste. Have a healthy mix of meat, cheese and crackers. 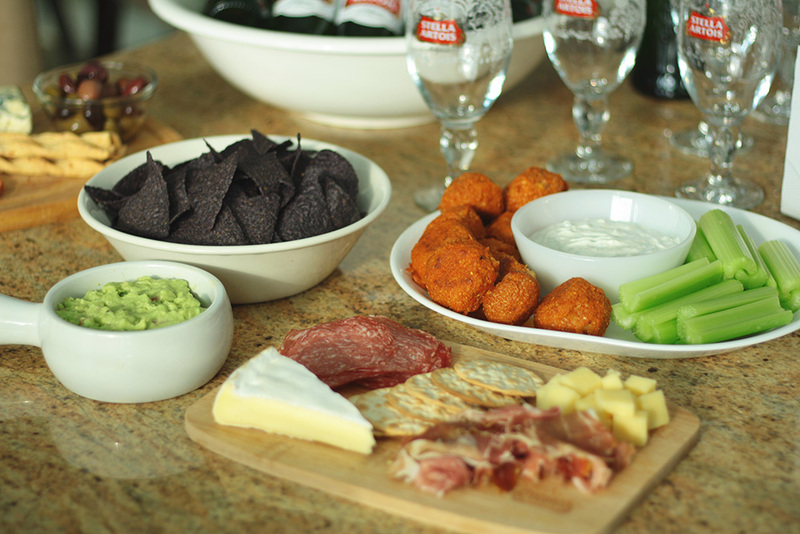 Never place your meats or cheeses side by side – you can use crackers and other items to break up these focal points of your board. Include some traditional antipasto items, such as olives, artichoke hearts, grapes or gherkin pickles. 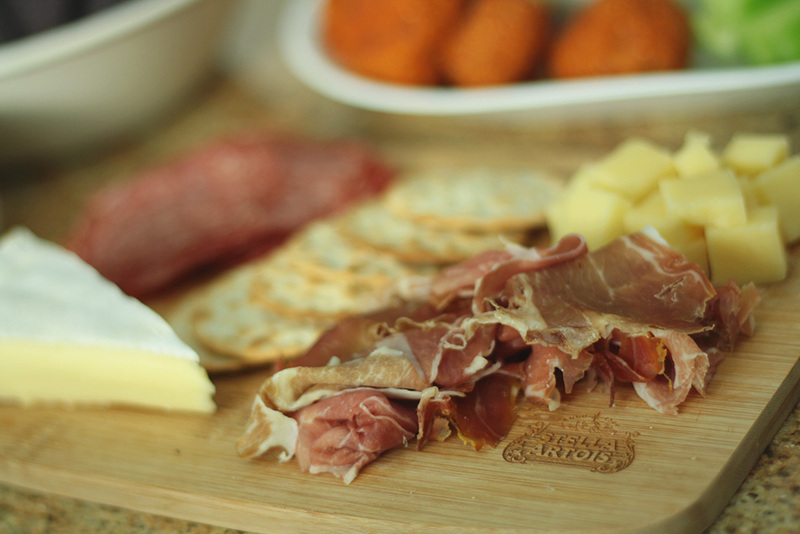 Separate your cured meats by slice when plating to ensure that each individual piece is easy pick up for your guest. I recommend having at least 2-3 different meats, 3-4 cheeses and then at least 2 types of crackers of varying shapes (think traditional circle and breadsticks). Don’t overplate your board and know that you can always freshen them up through the evening. I know that was a ton of ideas, so let me know if you test any of them out tomorrow for your hosting needs! And I really hope that you think of Stella Artois and Water.org and use the day to really make your Super Bowl party matter. Having your team win the Championship might not be the best way you’ll feel tomorrow, second only to knowing that you’re giving back to communities in need and making a direct impact on the people, families and solutions that can easily be put in place. The purchase of one limited-edition chalice equals 5 years clean drinking water for a community, so I encourage you to pick your favourite and have both the winning and losing fans buy for one another as a fun little party favour! Hope whatever you get up to, your Super Bowl Sunday is incredible and you wake up ready to make your party matter. 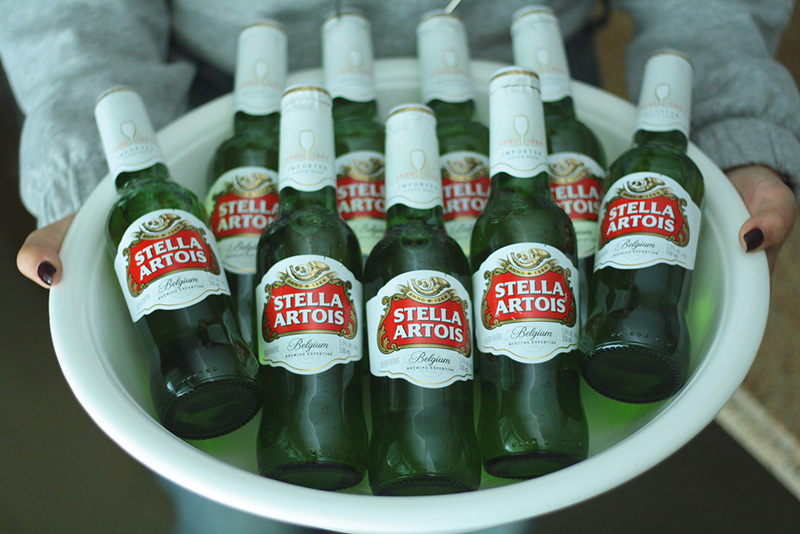 *This post was done in partnership with Stella Artois and Water.org. All opinions are my own. Thank you for always supporting partnered content! Summer Pasta with Snap Peas & Mint.